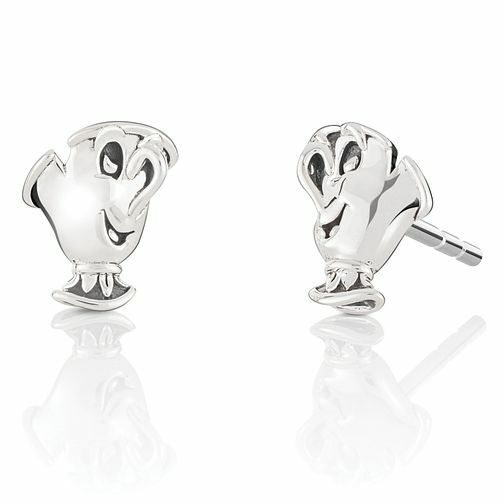 Chamilia presents these charming stud earrings inspired by Chip from Disney iconic classic tale Beauty and the Beast. Crafted from sleek sterling silver, these quirky stud earrings feature an intricately detailed Chip, perfect for any Disney fan. Discover all the ways to express yourself with Chamilia. Chamilia jewellery is as unique as you are! Chamilia Disney Beauty & the Beast Chip Earrings is rated 5.0 out of 5 by 4. Rated 5 out of 5 by Anonymous from Super Cute! Bought these for my daughter for Christmas and they are totally adorable!